Dubai - Iran’s navy on Saturday launched a domestically made destroyer, which state media said has radar-evading stealth properties, as tensions rise with arch-enemy, the United States. In a ceremony carried live on state television, the Sahand destroyer – which can sustain voyages lasting five months without resupply – joined Iran’s regular navy at a base in Bandar Abbas on the Arabian Gulf. US President Donald Trump pulled out of an international agreement on Iran’s nuclear programme in May and reimposed sanctions on Tehran. He said the deal was flawed because it did not include curbs on Iran’s development of ballistic missiles or its support for proxies in Syria, Yemen, Lebanon and Iraq. 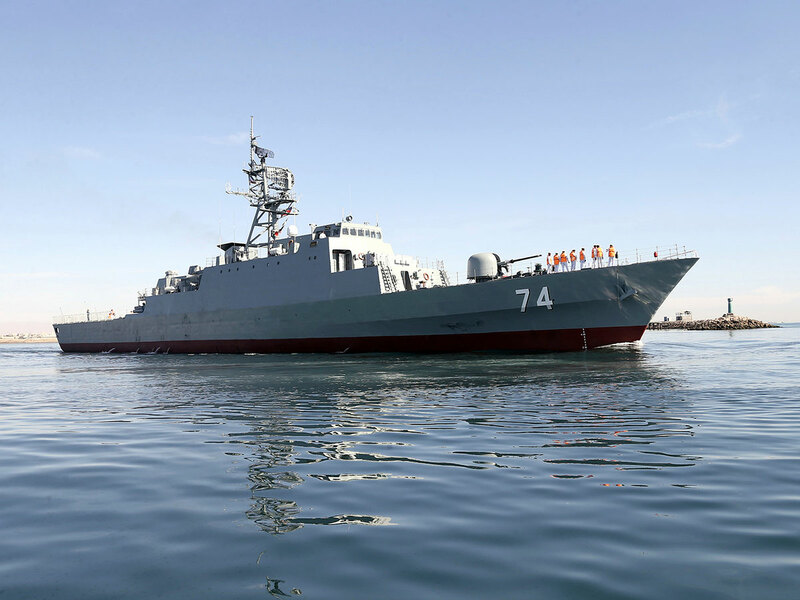 “This vessel is the result of daring and creative design relying on the local technical knowledge of the Iranian Navy...and has been built with stealth capabilities,” Rear-Admiral Alireza Shaikhi, head of the navy shipyards that built the destroyer, told the state news agency IRNA.